April already, where does the time go? The garden tulips are almost in flower, but I have cheated with some shop bought cut ones. Crazy, tulips in June. Spring came so late it slammed into summer and all sorts of flowers bloomed together that should have been weeks apart. But I think these are the last of tulips until 2014. A conversation with my friend Sue is the author of this post pre-bedtime. She alerted me to the number of death references in my blog recently. I do like living things. 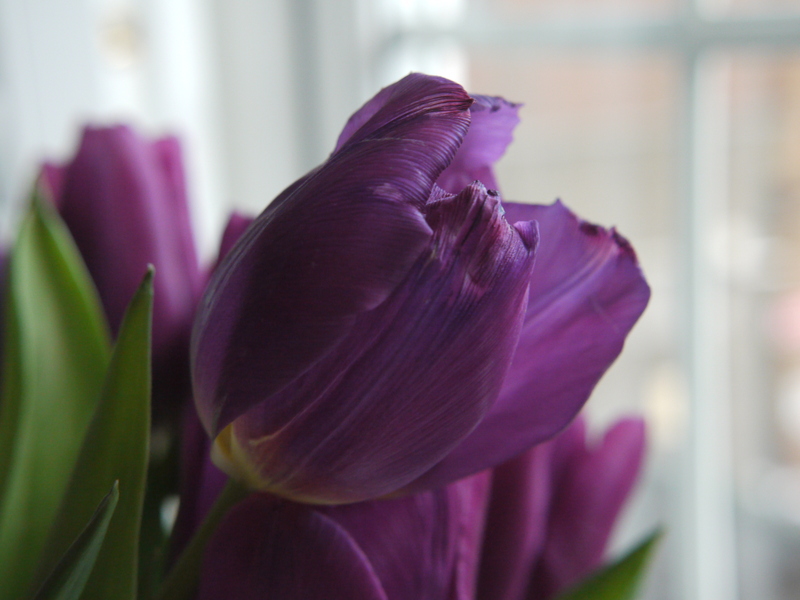 The tulips in the vase in my sitting room are wonderfully vibrant, and oh so beautiful. I know it’s a risk of overkill, but I am high on spring flowers. Please bear with me. 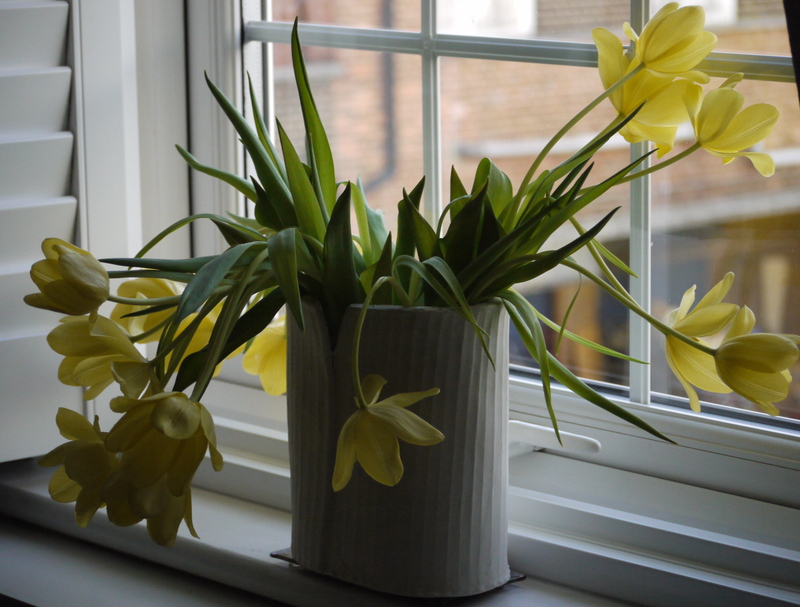 These are my beautiful tulips, sighing and shining in the March sunshine. The tulips, again in the bathroom, were clearly on their last legs, but somehow, even more beautiful than when they were new. Aunt Kath had a friend who was an artist and painted stunningly gorgeous paintings of flowers. These remind me of her work. Helen, if you read this, could you supply her name please? I don’t think I have ever had tulips that opened this wide before. Friday evening and I am glad to be home and wearing my new black slippers. Life chez IsobelandCat doesn’t get much more exciting than this. True, I bought a car yesterday and that should probably rank a bit higher than slippers with bows that make me think of Minnie Mouse, but I like my slippers and so far the car and I are not that well acquainted. It looks nice, being shiny and black. I don’t think it’s been a busier week than usual, so I am a bit puzzled as to why my home looks like a slum, and I can’t blame all on the ghastly orange Cat Play Cube. Plumping cushions, hurling paper into the recycling bag and changing the bed linen has raised the tone a bit, and now I’ve dimmed the lighting, I should get away with it until morning. At least the tulips are still looking good.